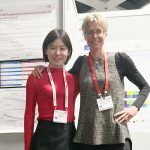 Dr Lisa Melton, Head of Research at MS Research Australia, is in Berlin to attend the 34th Congress of the European Committee for Treatment and Research in MS (ECTRIMS). This is the largest global conference on MS. As well as attending the conference sessions and reporting back for us, Dr Melton is attending meetings with our partners in the International Progressive MS Alliance, MS International Federation and other collaborators. Here’s her round-up of day 3. The final day of ECTRIMS started for me with a session on the use of technology and telehealth in rehabilitation for people with MS. Professor Rob Motl from the US, stressed how the evidence has grown for the benefits of physical activity in people with MS. Yet people with MS are substantially less active than the general population and face additional challenges in staying active. Professor Motl put forward some convincing examples of how remote delivery of exercise programs, coaching and monitoring within the home using the internet and wearable technology can promote physical activity in people with MS with clear benefits for general health and MS outcomes. Other young researchers provided examples of technology and monitoring tools that can track outcomes in physical activity, memory and thinking rehabilitation and fatigue. University of Melbourne researcher Gustavo Noffs demonstrated how acoustic analysis of speech patterns using machine learning can provide a fast, accurate and cost effective method to monitor disability progression over time. While there has been a great deal of discussion of research into progressive MS throughout the conference, a dedicated session today covered some interesting work in this field. Professor Bob Fox from the US reviewed the trials to date in progressive MS including the recently published results on Ibudilast, the Biotin studies and others. Some have showed promise, others have been negative, but all have taught us how to move forward. He discussed the challenges in designing trials and using measurements to sensitively track outcomes so that we can identify effective treatments as quickly as possible. Work is underway through the International Progressive MS Alliance to design new ways of conducting trials to get the best outcomes. The late breaking news session is always the highlight of every ECTRIMS conference where we hear about the very latest research results. Sadly, in this session, we heard the disappointing news that the MS-SMART trial of three potentially neuroprotective treatments for progressive MS has showed no positive effect. This was a world-first trial that tested three drugs in one innovative trial design. It looked at amiloride, riluzole (a drug used in motor neuron disease), and fluoxetine in people with secondary progressive MS. Outcomes were monitored using the rate of brain shrinkage (atrophy) and a range of other techniques. However, none of the medications were able to slow brain shrinkage. While this is a terrible disappointment for people living with secondary progressive MS, it is important to know that this trial set a new standard for how progressive MS trials can be conducted and it will teach us a great deal about the mechanisms of progressive MS so that we can better target medications in the future. On a more positive note we also saw the results of an entirely new approach to treating relapsing MS, with the experimental medication evobrutinib. This medication suppressed new active lesions in a phase II trial in people with relapsing remitting MS. This treatment targets an enzyme in the B cells of the immune system called Bruton’s Tyrosine Kinase (BTK) that has been shown to inhibit B-cell activity and T-cell inflammation. This is the first time a drug of this kind has been tested in MS. Some side effects were observed, particularly in the liver. More trials are needed before the potential of this drug is known. Another positive story was the success of a trial in the MS-sister disease Neuromyelitis Optica Spectrum Disease (NMOSD). This condition requires a different treatment approach to MS, and currently has fewer treatment options. The trial tested a drug called satralizumab. This medication targets an inflammatory molecule known as IL-6 that is known to play a key role in NMOSD. The medication suppressed relapses in people with NMOSD by over 62%. The effect was even higher in people who had antibodies in their blood to the Aquaporin 4 protein which is a hallmark of most cases of NMOSD. No significant safety concerns were identified. In this session we also heard further convincing evidence from a German study that the Epstein Barr Virus (EBV) is necessary for the development of MS, while another study showed that smoking and low vitamin D levels reduced memory and thinking abilities after 11 years of follow up. Finally, we heard a wonderful lecture from Professor Catherine Lubetzki who delivered the Christian Confavreaux memorial lecture. She provided a hopeful overview of how far we have come in our understanding of myelin biology and myelin repair. 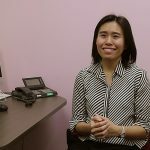 She noted the progress made in understanding the steps of myelin production from maturation of myelin producing cells, their movement to sites of injury and finally the re-wrapping of nerve fibres. 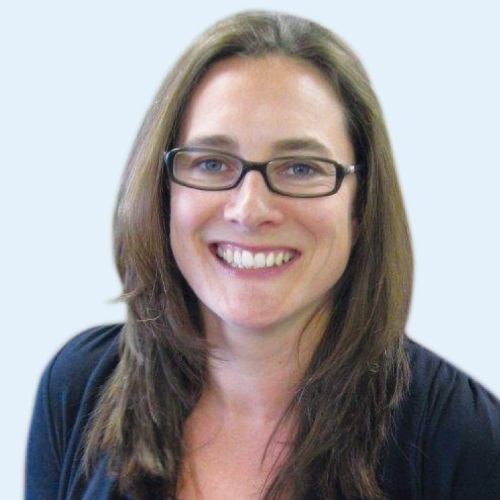 She noted the important role of electrical activity of nerves in stimulating the remyelination process, and cited amongst others the important work done by Australian researchers led by Toby Merson. All of this fundamental science is now being translated into clinical reality through several encouraging trials in people with MS (that we have covered elsewhere in our research news), with more to come. 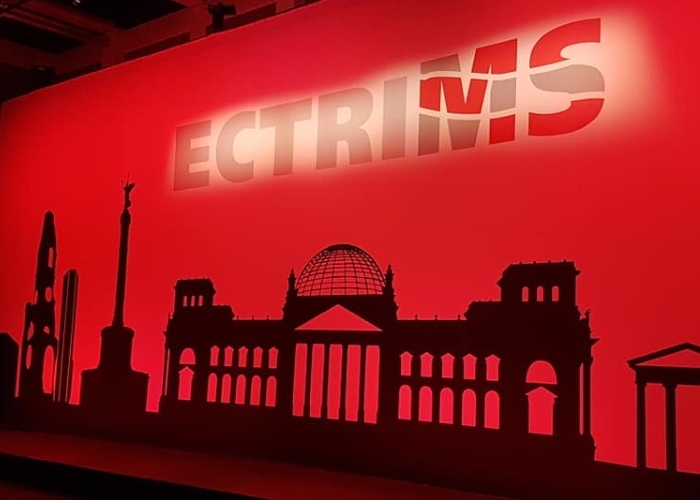 It has been impossible for me to bring you all of the incredible work being discussed at ECTRIMS, but Drs Klotz, Zamvil, Palace and Stangel finished the conference with their highlights. They touched on the progress being made in understanding the interactions of immune cells in the brain, the role of the gut in modulating immune system responses, how new standards for diagnosis are improving the speed and accuracy at which people can now find answers when faced with the first symptoms suggestive of MS, and how we now have a much better understanding, from years of real-world data collection, of how medications can best be managed around pregnancy and breastfeeding. It has been a great privilege to be a part of this huge conference, to connect with my global colleagues and to bring you these updates. There is so much progress being made in MS research, but numerous steps, large and small, are being made in the right direction and there is a lot to be excited about.